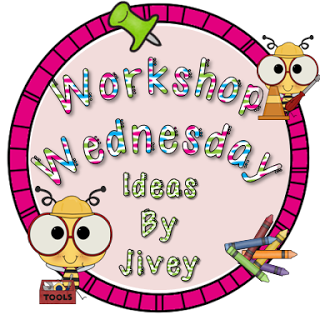 I am so happy to be linking up with Jivey (after far too long) for her Workshop Wednesday linky. I have been enjoying reading today's posts from some of my favorite bloggers and getting loads of practical ideas for next year on how to set up or start off workshops (reading, writing and math, oh my!). I also have been a very busy little pinner. I spent sometime in my classroom today (okay 3 hours) and was talking with one of my BFF's (crazy teachers that we are, we were both in the school today and talking and talking about next year and our plans) and I named a few things that will be part of my writing program next year. Using ideas from The Learning Pad on building a Writing Community. I like some of their book suggestions and lesson ideas. I used this more when I was teaching Grade 2 but I still like the structure, I just modify it to make it work for me. Use a writing folder that is kept in their desk to hold current writing pieces, a checklist for the current assignment, their dictionary and thesaurus. 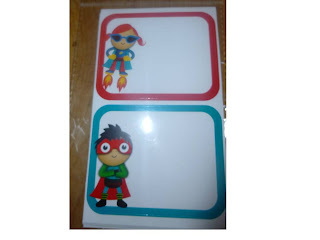 Last year I used cute little labels from the super talented Kristen from Ladybug's Teacher Files . Here are links to the personal dictionary and a personal thesaurus we use. 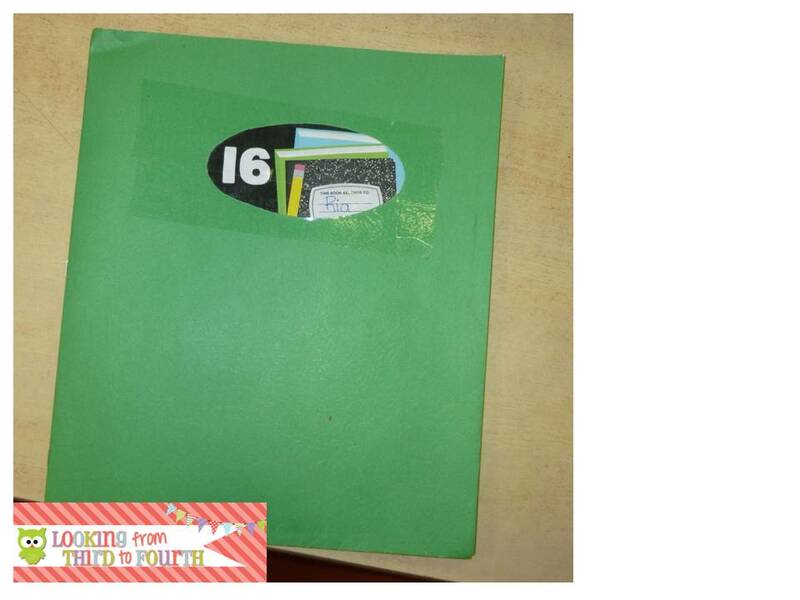 I will also continue to use a writing binder for finished work. 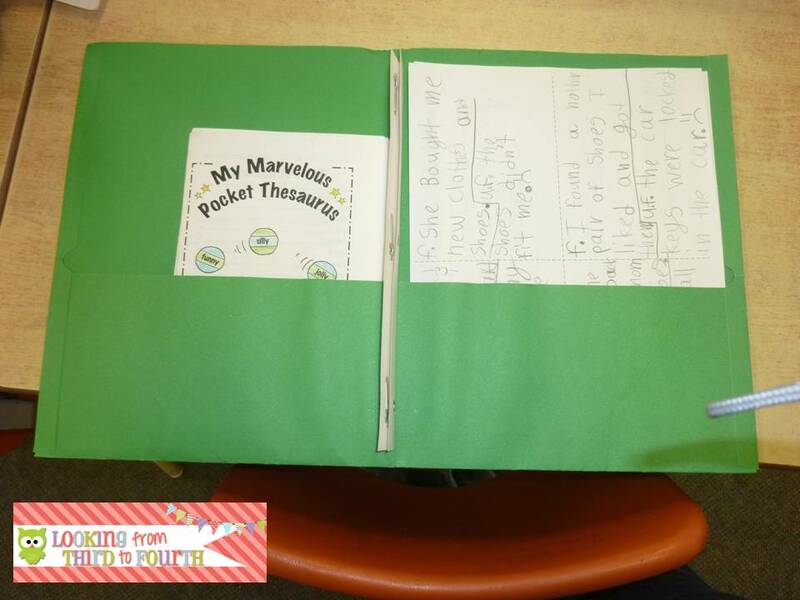 Inside the binder is a Table of Contents that I use to help keep their work organized. I will also continue using our writer's eye editing and celebrity revisions. I will continue using Paragraph of the Week for Stephanie at Teaching in Room 6. I will try to use the T.A.G. peer editing system better. 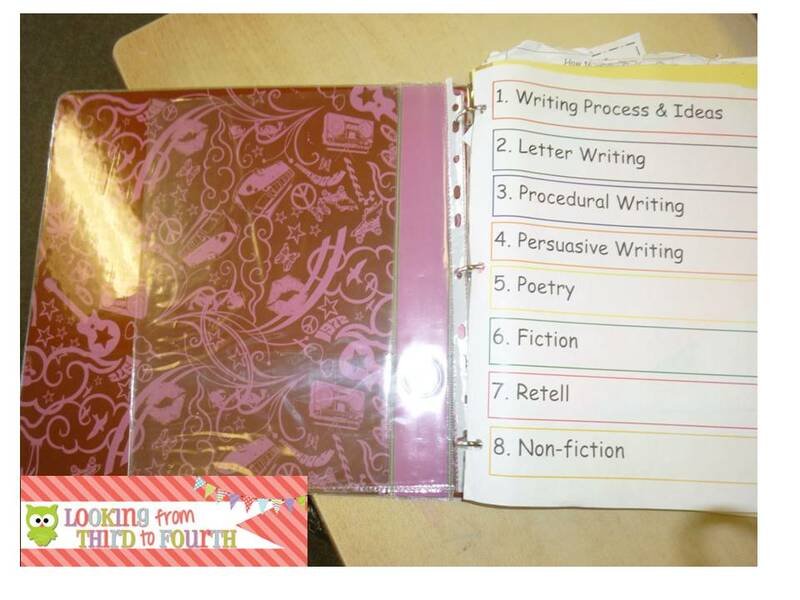 Last year I started this peer editing system based on this freebie but need to be more consistent. Click on the picture to pick up this freebie form Ms. Jordan Reads. I of course will be using mentor texts :). Here are a few things that I will be adding to my writing workshop. Mentor Sentences. I am super excited to start this program and already have Jivey's first package in a binder ready to go. Today while reading Jivey`s post I saw that awesome writing anchor chart and will be making one of those pronto - just thinking if I want to use magnets or clips!! I have had the Paragraph of the Week on my wish list for awhile now, but am moving up to 4th grade this year. Do you think it would be appropriate for 4th grade? Thanks so much for linking up so much awesomeness! 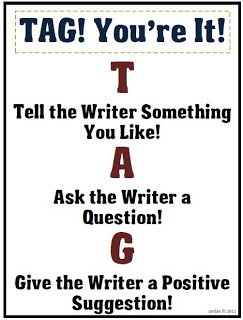 :) I love the TAG it idea! Definitely going to do that next year! I love those labels you posted at the end! In which section of Michael's did you find them? 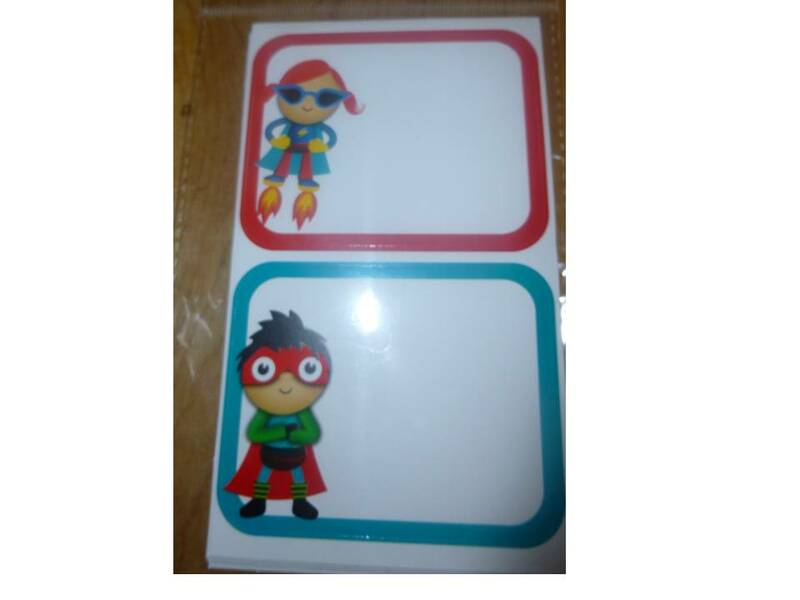 They were in a middle aisle in a display with all kinds of teacher items - reward charts, cute paper, desk nameplates. This was a fabulous post! Thanks for letting us take a peek into your Writer's Workshop. 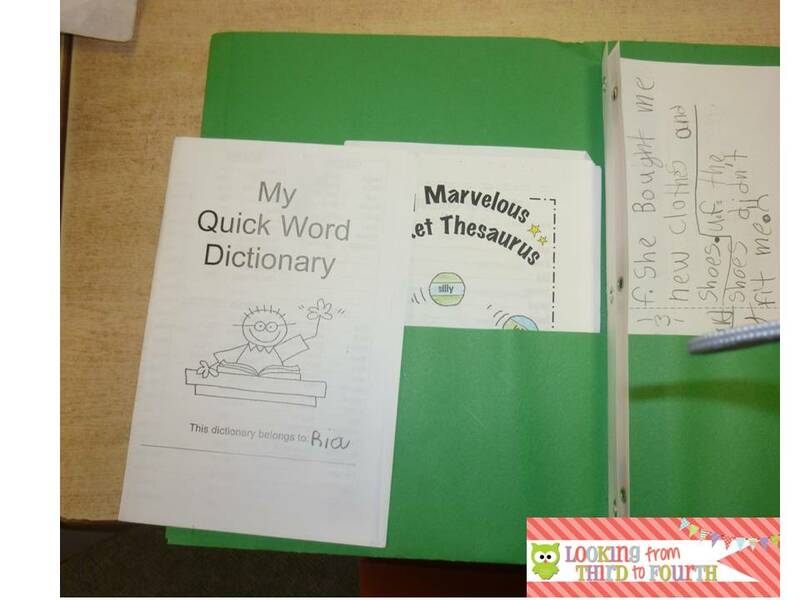 I am super duper excited about the dictionary and thesaurus that you were so kind to share with us. Thanks so much!!! I like how you have a separate folder for current writing and a binder for finished writing. Great idea! Your post has by far been the most amazing, educational post ever. You have taught me so much in one sitting. You have inspired me and guided me into having a complete Writer's Workshop. I am truly looking forward to getting my Writer's Program started when we go back to school. Thank you sooo much for directing/guiding me to so many links. Thanks for all the great reference links! I have so many pieces to figure out this year and you've given me a great head start! Great ideas! I love the glasses. I wonder if my fourth graders could handle it! They get a bit excited over little things and I try to keep Writers Workshop quiet! I will take any suggestions!